Aaron Howe is the “mayor” of one of Camden, N.J.’s “tent cities.” Though there was no formal vote, he has taken charge of gathering supplies, like food, clothing and propane from local aid organizations and distributing them among residents. He also sets the rules and decides who’s allowed to stay and who needs to go. “It’s just a place to call home until you get out of here,” he says. Up until a couple of years ago, Kendall was sleeping in an abandoned house — but then he was attacked by bats. He saved up enough money from his Social Security benefits to rent an apartment, but he was evicted last week for falling behind on payments. 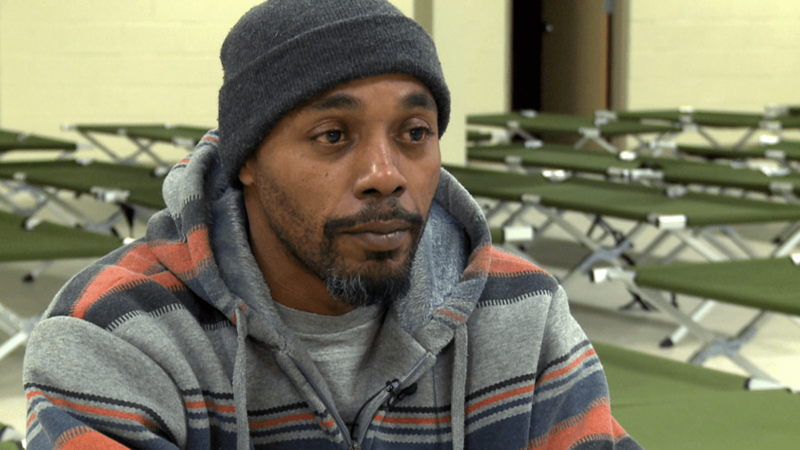 This is now the second time he has been homeless — the first time was between 2000 and 2012, after he and his wife divorced. 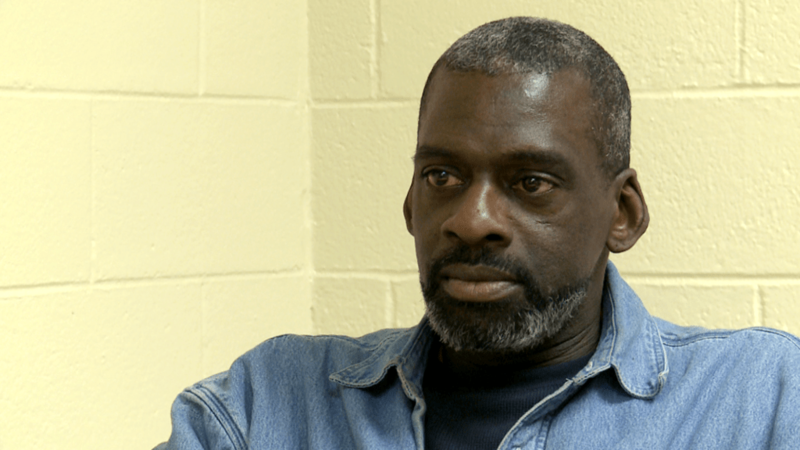 Despite his situation, Kendall, a former electrician, is still optimistic. Michael Powell was locked up at the age of 18 for murdering two men. He served some 22 years in jail and then spent some time in a mental institution. 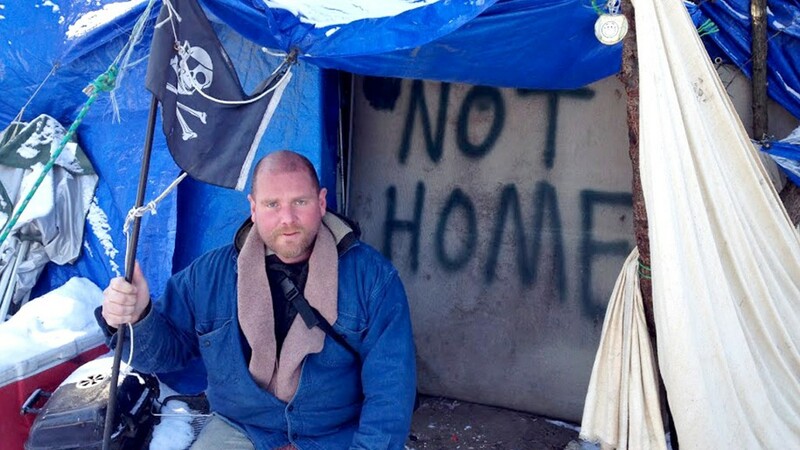 For more than a decade, he has been living in a tent off of a highway in Camden. Between his criminal record and little work experience, Powell has had a hard time finding a job. He has picked up some occasional work — like doing carpentry for a friend — but he hasn’t had a stable income. Even Kareim Nurdeen’s family doesn’t know he’s homeless. His two daughters tell him to come to them if he needs anything, but he is determined not to let them see him like this. Diagnosed with schizophrenia years ago, Nurdeen stopped taking the medication for his condition because it was too expensive. He is unable to work and has fallen in and out of homelessness for the last five years. He recently became homeless after discovering he had been renting a room from someone who didn’t actually own the building — it was really an abandoned house. When the house was taken over by the city a couple months ago, they were both kicked out on the street. Nurdeen has been staying at Joseph’s House for the past week after another shelter ran out of funding and was forced to shut down. “I pray, I pray, and I think ‘I’m a good guy’ … so sometimes I ask, ‘Why me?,'” he said. With just one year left before getting his bachelor’s degree in advertising design from Savannah College of Art & Design, Chris Thom is now living in a tent in Camden, N.J. When he first arrived in Camden, he moved in with friends who were also doing drugs. But when they moved and he couldn’t afford the rent on his own, he moved into a tent right off the highway in cluster of trees, with several other homeless people. He’s been doing odd jobs, like shoveling snow for churches, but he knows he needs to get clean before he can land a full-time gig. His family says he can move back home with them, but he is determined to get himself back on track first. It’s been hard though — especially during such a frigid winter. Ar-Rasheed Bey, a retired bus driver, has been living in an abandoned condominium ever since his month long stint in jail. But now a bank is taking over the “abandominum,”as Bey likes to call it, so he will be kicked out any day. He receives $755 a month in retirement benefits and $189 per month in food stamps, so he has been trying to save up enough money to rent an apartment again. With a growing number of homeless people looking for affordable housing, he hasn’t had much luck. “I’ve never seen so many homeless people in my life,” he says. Bey says he would rather go to jail and get three meals a day and a bed than sleep outside on the concrete in the cold. “I would throw a brick in the window of the police department until they came to take me to jail before I would live on the streets,” he said. Meda Bush has been homeless for a little over a year, after her boyfriend was laid off and she relapsed on heroin. Drugs are everywhere in Camden, and she said it was just too hard for her to stay clean. “I lost myself, in Camden. I just got lost,” she said. After bouncing between shelters and sleeping on cardboard in the streets for the past year, she recently arrived at Joseph’s House. Bush said she used to have a “normal” life; she was happily married, had a good relationship with her two kids and owned a house. Now her youngest son doesn’t want anything to do with her, and she has no idea where her parents or brothers are. Bush says she has been clean since arriving at Joseph’s a week ago, and she is determined to stay out of trouble. “I knew the life that I was leading was gonna’ kill me, and I didn’t want to become another statistic in Camden,” she said. When Michael Brown lost both his parents about six years ago, his drug addiction spun out of control. He spent all of his money on drugs and eventually lost his home. After staying with a friend for a while, he officially became homeless about a year and a half ago. Since then, he’s been sleeping in shelters and job hunting every day. But he realizes he won’t get decent work until he can stay clean. “You can go to all the rehabs, you can go to all the counseling, but if it’s not in your heart, you’re not gonna’ do it — and I made up my heart and my mind that this drug thing, I’ve got to beat it, because if I don’t it’s gonna beat me,” he said. Terry Hinton says his life started spiraling downward two years ago when his parents died within six months of one another. Shortly afterward, the home they left him caught fire. And since Hinton was unable to insure the house, he lost it. Even before his parents passed away, Hinton was struggling with addiction. He hasn’t had a full-time job in more than 20 years. Instead, he has been taking whatever odd jobs he can get paid under the table. While it’s cold, Hinton has been staying at Joseph’s House. 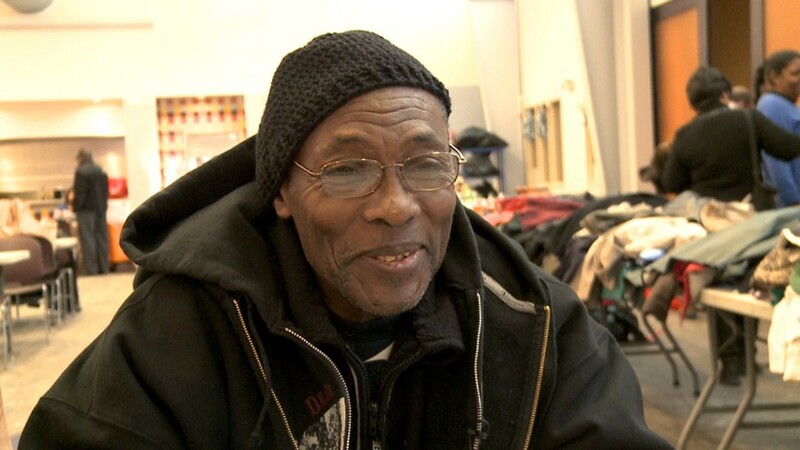 Under the shelter’s program, he wakes up at 5:30 a.m. and then volunteers at a soup kitchen from 6:30 a.m. to 4 p.m. to stay warm and busy. Then he comes back to the shelter for dinner and to sleep. “This is heaven, somewhere where you can eat, you can take a shower, somewhere where you can lay your head,” he said. 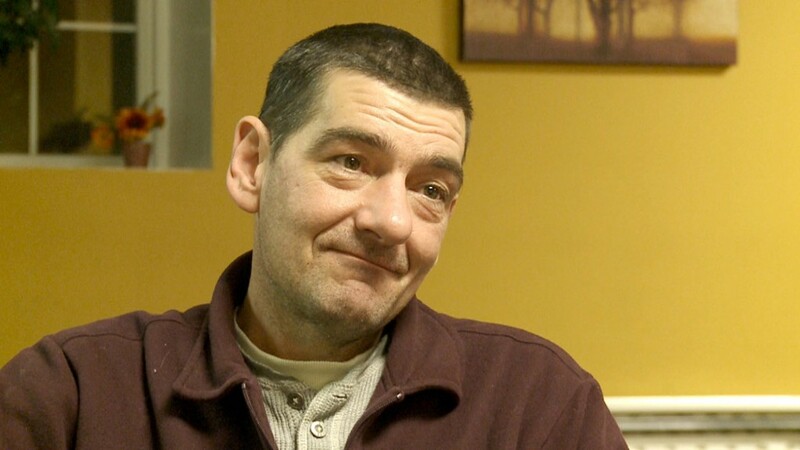 Like many of Camden’s homeless, Brian Barrett’s slide into homelessness was sparked by an addiction that began several years ago. A former bricklayer, Barrett’s growing heroin habit began consuming his paychecks. It got so bad he even started stealing from his mother. By the summer of 2012, he was homeless. Barrett has been in jail three times for drug-related offenses over the past year. With a criminal record, it’s been challenging to find work. “Even for a dishwashing job they do background checks now, it’s just crazy,” he said. He had been living in an abandoned storage trailer on the Rutgers University campus. 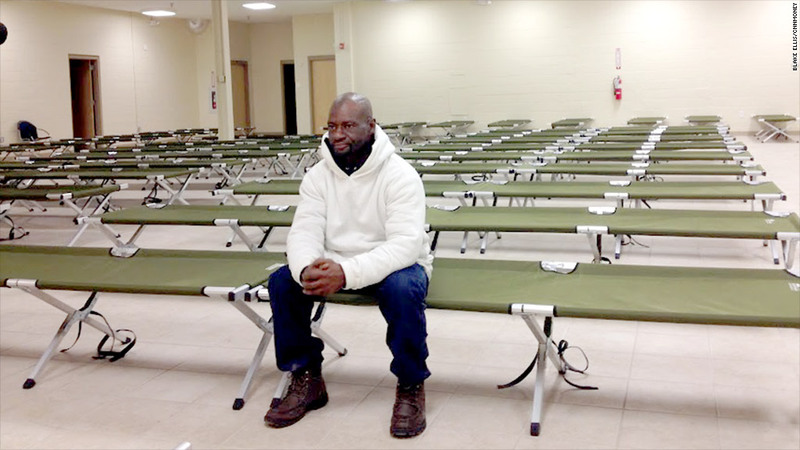 But several weeks ago, when it become too cold to bear, he came to New Life Ministries, a church providing 75 cots for the homeless. He says he’s been sober for 57 days now, and he spends days in the library and nights in the shelter to avoid the streets.